Georgia's Home Inspirations: Lisa and Nikki's Friday Vintage Finds! 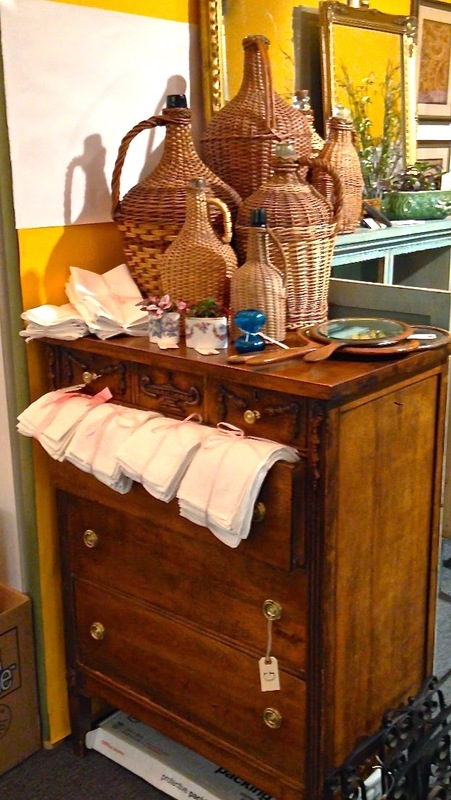 Lisa and Nikki's Friday Vintage Finds! We've got some catching up to do! 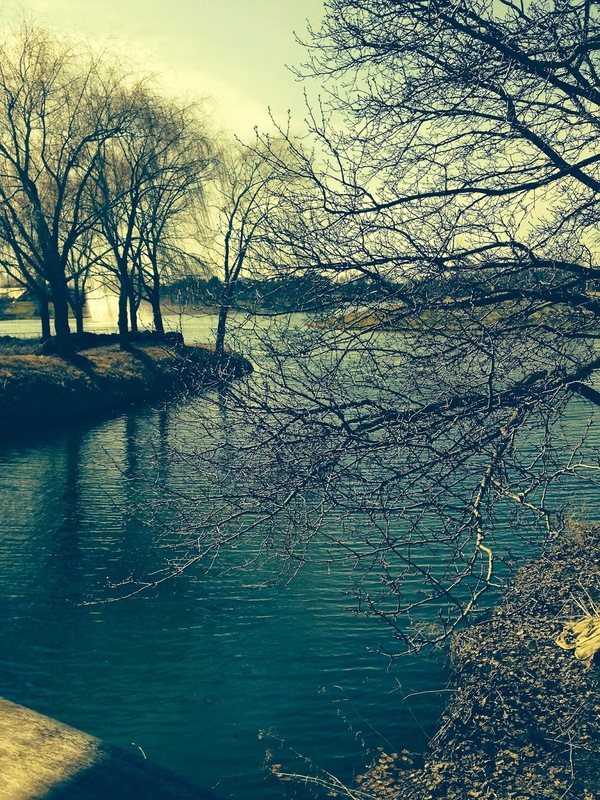 We've been on the road, participating in shows and have so much to share with you. 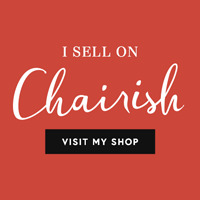 So from Georgia to Cleveland to the Chicago Botanic Garden Antiques and Garden Fair - here they are, the vintage finds and one-of-a-kinds that have inspired and delighted us. And yes, more to come! 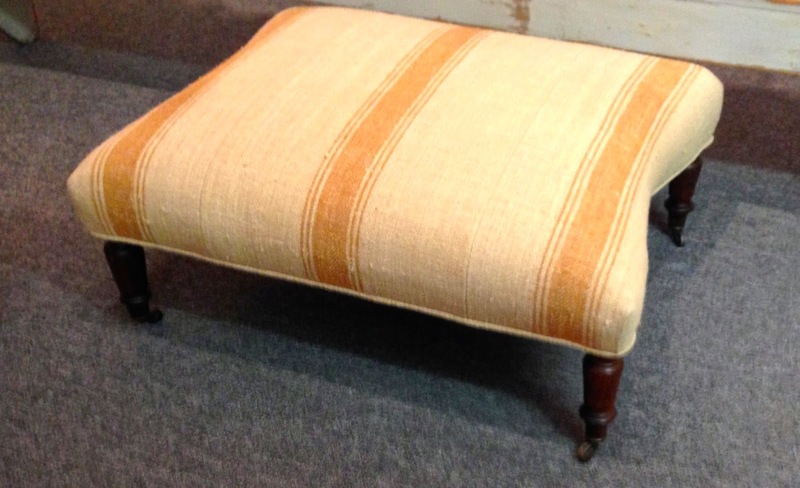 How wonderful is this over-sized ottoman upholstered in vintage grain sack fabric! A glimpse at Georgia's booth at the Chicago Botanic Garden Antiques and Garden Fair. This antique wrought iron fence piece is in Georgia's inventory. 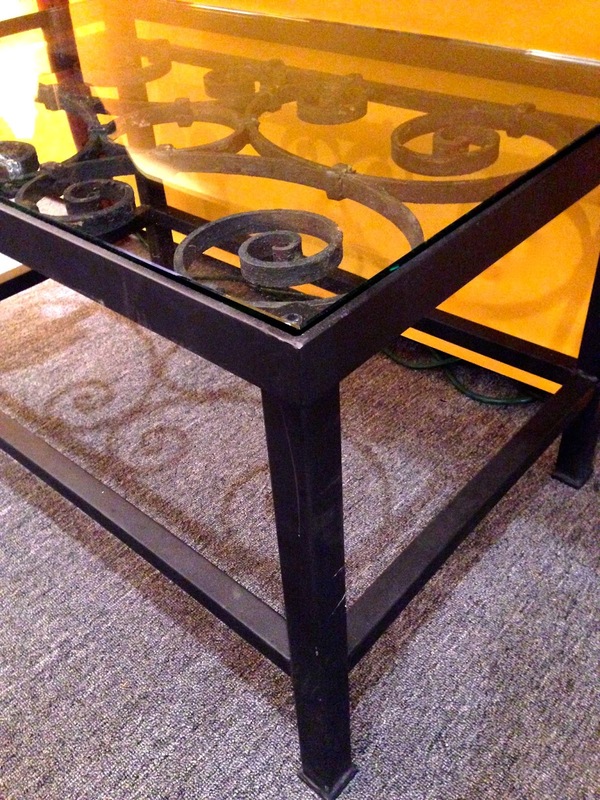 It's perfect for a headboard, wall hanging or used in a coffee table like the one below. 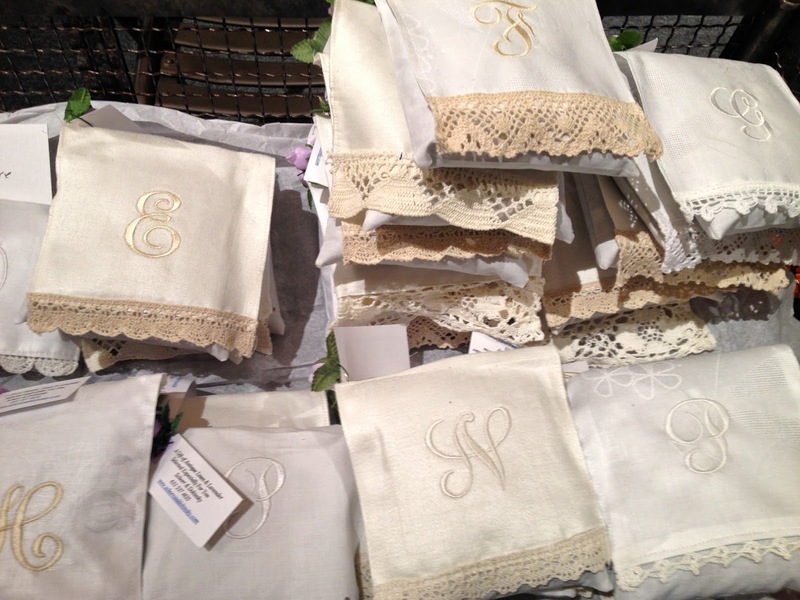 Beautiful embroidered linen sachets with vintage lace trim. These sachets were filled with French lavender. What a great gift for the bride-to-be! Vintage English Winstanley Pottery brown hares with glass eyes from Poverty Hollow Enterprises. We loved these guys ranging in size from 6 to 12 inches. How perfect are they for decorating a spring table or tucking into a sideboard or mantel. 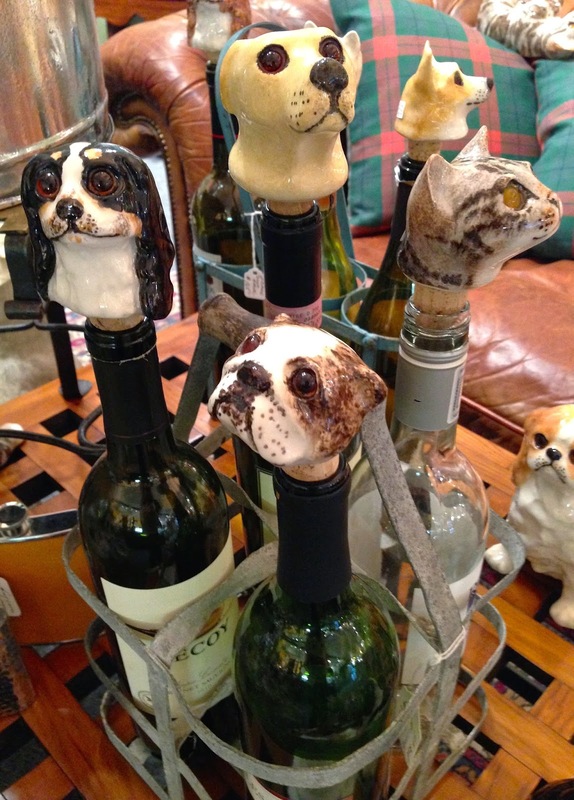 Also from Poverty Hollow, vintage ceramic dog and cat head wine stoppers! Too cute! And this 1920's Chesterfield sofa! Found in a home library in England, we thought it was in amazing shape. "Chester" came home with us! Five Ways to Use a Vintage Sugar Bowl!